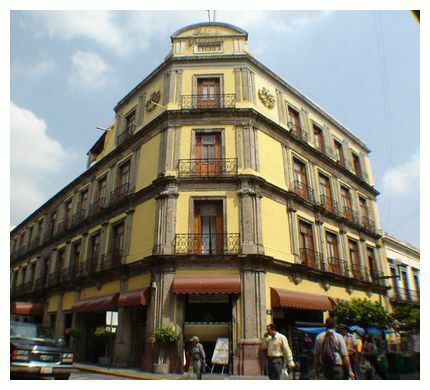 Old world charm is exactly what you get with this famous Guadalajara hotel - Hotel Frances. I felt like I was transported back in time. 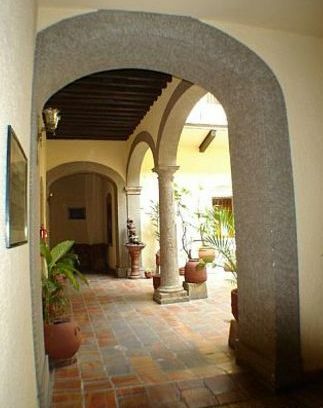 The lobby has beautiful Spanish arches and stone columns. The ceilings have sparkly chandeliers dropping down from them that add an air of stately elegance and create a romantic setting. Read what other travelers have to say about it. There are gorgeous dark wooden frames and furniture thoughtfully placed about and rich hardwood floors and a high ceiling. They have an inviting bar area with tables and chairs to lounge in and sip drinks. You really feel like you've stepped onto a movie scene. I was amazed. Speaking of movies, the hotel was used to film scenes from the movie "THE EVIL THAT MEN DO," which was released in 1984. Come see a piece of Hollywood history. The building is also considered a national monument. 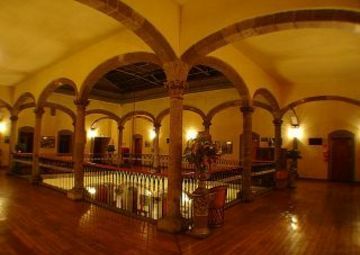 It was originally built in the year 1610 and is the oldest hotel in Guadalajara. It was previously known as EL MESON DE SAN JOSE or Saint Joseph's Table. The renovations were completed in 1980. 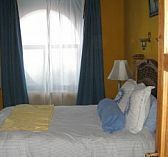 This Guadalajara hotel is also at the best location.. right in the heart of downtown. No need to catch a cab. All you have to do is walk a few steps and you're there. I think you will really appreciate it's proximity to everything. It's very close to the beautiful Guadalajara Cathedral, Degollado Theatre and my favorite, all the great shops. Also, if you happen to be there on a Friday evening try to catch the mariachi. 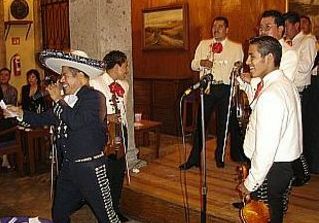 Every Friday starting at 8:00 pm till around 9:30 or so they offer live mariachi music in the lobby. What more could you ask for! Sit back relax and enjoy the music and this lovely, old world getaway.